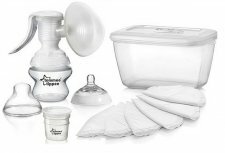 BPA Free Tommee Tippee CTN Breast Pump. With only 3 parts this breast pump is easy to use and easy to assemble. The flexible, rippled cup moulds to the shape of the breast for extra comfort, and helps to encourage fast and comfortable milk expression. 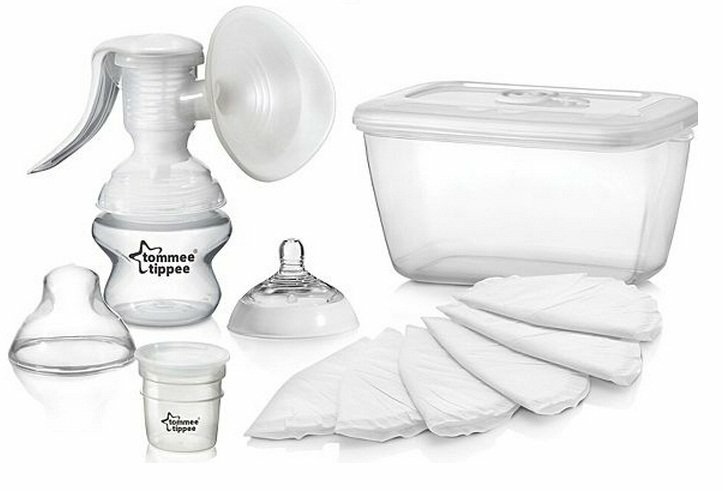 Includes 1 x 150ml bottle, 1 milk storage pot, 6 breast pads and 1 steriliser box.